The Obama administration, with heavy support of Obama himself and Secretary Kerry, have proposed a new agreement on Syria to the Russian government with the intent of increased military cooperation between the two countries against terrorism and Assad. The plan would grant the Russia air support and data from the US when targeting anti-Russian (which are not, in fact, anti-Russian but anti-Assad) terrorist—namely Jabhat al-Nusra, a branch of al-Qaeda. In return, Obama expects Putin to request the Assad regime to stop bombing Syrian rebel groups supported by the US by specifying regions of Syria Assad should not bomb. Putin spoke favorably of the plan, reiterating he does not seek a new Cold War with the West but is not convinced the West does not seek a Cold War with him. Vladimir Putin has a history of publicly understating Russian animosity toward the West and overstating its self-reliance, especially toward the effect of the sanctions on Russia after the invasion of Crimea. US Defense Secretary Ashton B. Carter, however, was opposed to Obama’s plan but was compelled to go along with the decision. Many government officials have become increasingly frustrated with Obama’s decision-making regarding Syria. Even if the Syrians agreed not to bomb certain zones, there would be no way to stop Jabhat al-Nusra and other groups from reading the adjusted targeting to recognize where rebels were likely to be. Additionally, even with US intelligence, increased aerial bombing anywhere in Syria will likely result in catastrophic civilian death tolls. 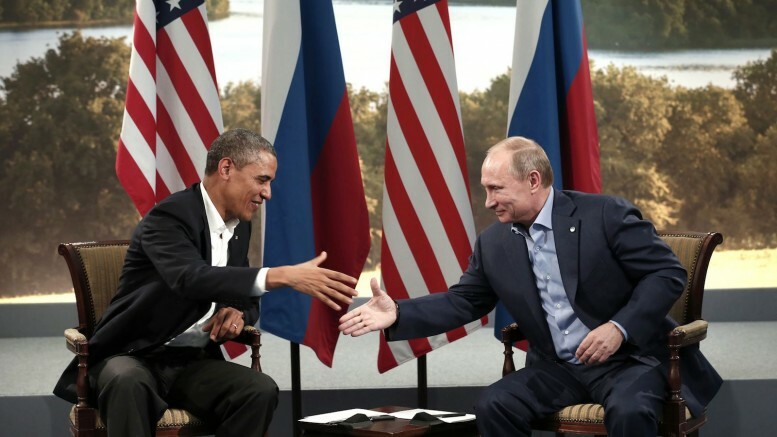 Obama’s plan also holds no consequences for Russia’s support of the un-democratic and deadly Assad regime. Kerry’s initial threats to Russia involved renewed efforts to arm rebels against Assad if Russia did not cease their support, but Obama has nixed this threat in favor of the new deal. Similarly, since most of the terrorist organizations Russia intends to target are anti-Assad, if the US-aided missions are a success, Assad will be in a better ruling position than ever—even potentially benefiting ISIS. Putin himself is, no doubt, considerably more exciting about Obama’s deal directly with Russia as an acknowledgement of Russia returning to the global stage as a main power. Although Obama may not realize it, he’s playing directly into the hands of Vladimir Putin and the Russian agenda for greater control.